Save taxes on your IRA withdrawals. 3. Is a Roth IRA Tax Deferred? 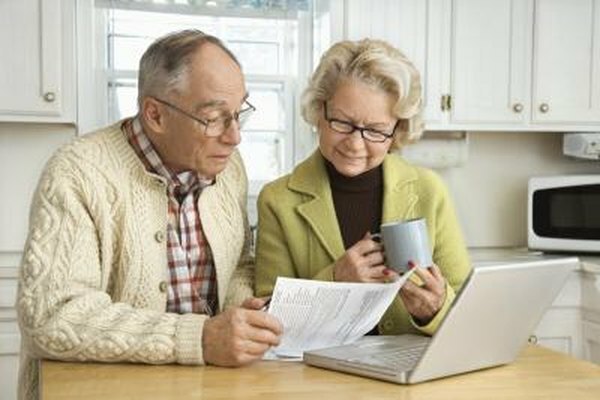 Your ability to take tax-free distributions from your IRA will depend mainly on the type of IRA in which you are invested. Withdrawals from a traditional IRA are taxed at ordinary income rates with only rare exceptions. Withdrawals from your Roth IRA may qualify as tax-free if you meet certain conditions. If those conditions aren't met, you may still have access to your money tax-free under certain circumstances. If you withdraw an IRA contribution by the due date of your tax return for the year the contribution was made, you do not have to pay tax on that amount. The contribution will be treated as though it was never made. If you withdraw any gains associated with that contribution, however, you must pay tax at ordinary income rates. If you are under age 59 1/2, you must pay an additional 10 percent penalty on the income earned by the contribution, but not on the contribution itself. If you are age 70 1/2 or older, you can take a tax-free qualified charitable distribution. A qualified charitable distribution is generally a distribution made by the trustee of your traditional IRA to an organization eligible to receive tax-deductible contributions. You must receive an acknowledgement of your contribution just as you would with any regular charitable donation. You must also meet the maximum annual exclusion limit for qualified charitable distribution. You fund a Roth IRA with after-tax dollars, so you do not have to include in taxable income any qualified distributions you receive from the plan. A qualified distribution is a payment made more than five years after you set up the Roth IRA. You must also either be older than 59 1/2, be disabled, be the beneficiary of a deceased person’s IRA or use the funds up to $10,000 toward the purchase of a first home. Even if you receive a non-qualified distribution from your Roth IRA, some or all of that amount may be tax-free due to the rules for ordering distributions. For the purpose of determining income tax, the source of your distributions follow a certain order. Distributions first come out of regular contributions, which are tax-free. Then your distributions come from past rollover and transfers, with the taxable portion coming out first followed by the non-taxable portion. Finally your distributions come out of investment earnings, which are taxable. The investment earnings portion of your non-qualified distributions subject to tax may also be subject to an additional 10 percent penalty tax if you are under age 59 1/2. You will not have to pay that penalty tax if you use the distribution, up to a $10,000 lifetime limit, toward the purchase of your first home. You also do not pay the tax if you: incur medical expenses that are more than 7.5 percent of your modified adjusted gross income and are not reimbursed; are disabled; pay medical insurance premiums for yourself or your dependents after losing your job; receive the distributions as part of an annuity; use the money for higher education expenses; or are a qualified reservist. Can I Gift Monies From an IRA? What Is the Percentage Tax Rate for Roth IRA? Do You Have to Pay Capital Gains on Roth IRA Earnings?